WASHINGTON (AP) — President Donald Trump’s Supreme Court nominee, Brett Kavanaugh, mapped out strategy with Republican leaders July 10, launching a fierce confirmation battle that could remake the court for decades and roil the midterm elections in the meantime. 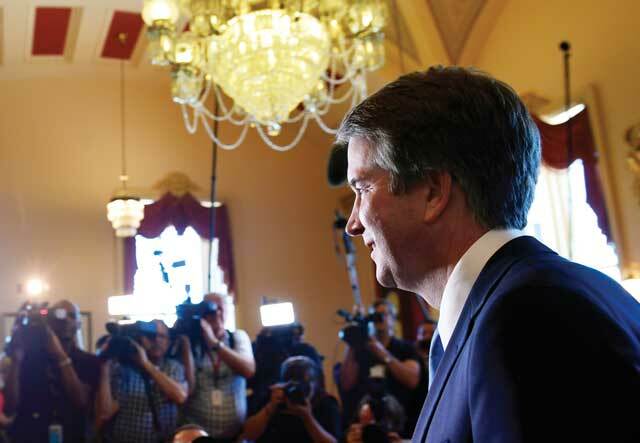 Kavanaugh, 53, a favorite of the GOP establishment, first huddled with Senate Majority Leader Mitch McConnell of Kentucky. Joining him were Vice President Mike Pence and former Arizona Sen. Jon Kyl. He also met for roughly 30 minutes with Sen. Chuck Grassley of Iowa, chairman of the Judiciary Committee that is taking the first close look at the nomination. He did not offer a timeline for confirmation hearings. “We’ve got some due diligence that we’ve got to do,” Murkowski said July 10.